Beautifully crafted watches can last a lifetime, and often more than one. We recommend regular watch servicing to keep your watch in the best condition possible, however, it is not always possible to guarantee the quality when purchasing a vintage watch. Case and bracelet valeting and refurbishing is a highly skilled craft requiring specialist training. We use specialist watch refurbishment and buffering tools and machinery with specific mops to polish the case and bracelet depending on the material being polished. Watch bracelets and cases often have more than one finish. In this case the surfaces not being polished are protected with specialist tape. Heavy scratches are removed as best as possible, greatly improving the look of your watch. We aim to achieve a factory finish. 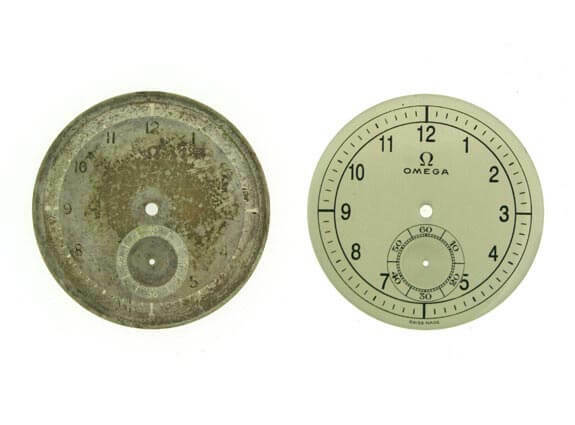 If you have a vintage watch we will advise you on the appropriate method of cleaning or refurbishing as we are very aware of the integrity of your watch. Each watch refurbishment will be discussed on an individual basis before work is undertaken. To remove unwanted dirt and residue the case and bracelet are placed in the ultrasonic cleaning machine. All watches which come in for a service are automatically cleaned in this way. We have a purpose built polishing room with specialist equipment for bringing the shine back to your watch. The process varies from dial to dial and we will provide estimates for the work before it is undertaken. The images above are from a bespoke bezel restoration undertaken at Michlmayr & Co. The watch face was cleaned and polished and we used machine precision to manufacture a new bezel to bring the timepiece back to life. There are many vintage watches in existence, thanks to the desire to preserve the expert, timeless craftsmanship required to create a luxury watch. Watches may have been repaired, serviced or even restored many times over their lifetime and in some cases, the original features can become lost or overworked. 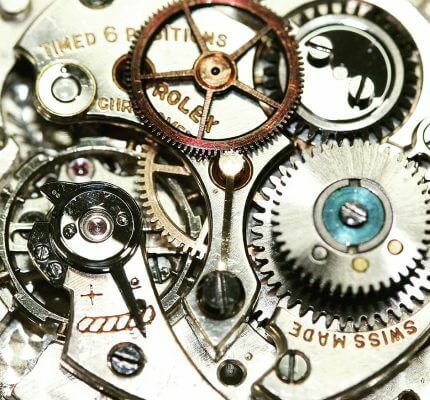 Our expert team offer a sympathetic watch restoration service and will work closely with you to understand, advise and record how you wish for your watch to be restored to best preserve the features and detail that make your watch unique. 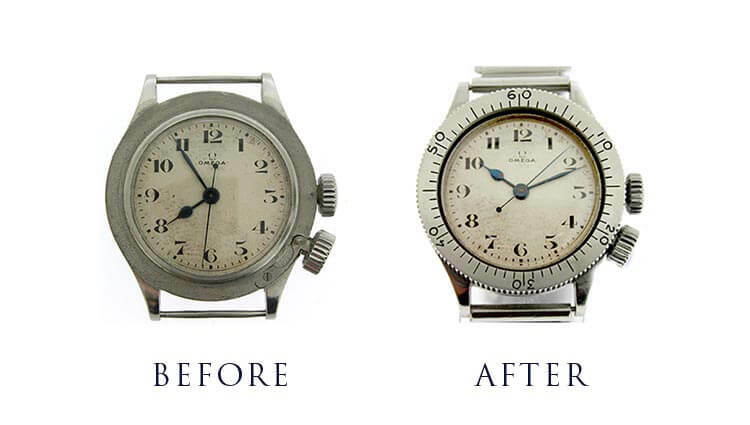 To discuss your watch restoration project with our team, please contact us today. © 2019 S Michlmayr & Company Limited. All Rights Reserved.